The juice of the lemon clear concentrate contains between 5% and 6% of citric acid which is the reason of its sour taste. Our lemons come from the Citrus limon lemon variety. 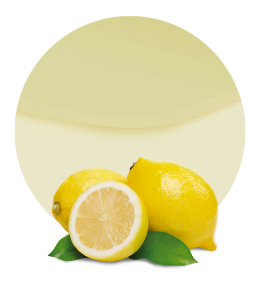 This Spanish type of lemon is characteristic for its intense flavour, which makes this lemon concentrate ideal to prepare any food or beverage product. It can also be used to create medicinal and cleaning products. We offer different commodities / blends of lemons to our customers depending on the final use, target price and characteristics in each moment.